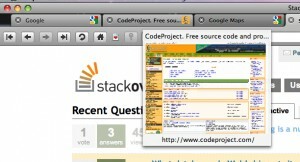 Comparatively to this, Opera has provided tabbed browsing since version 4, released in 2000 [Source]. 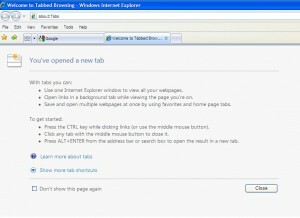 Internet Explorer 7’s implementation of tabbed-browsing was also rather poor, which caused Microsoft to load each tab into a separate process in IE8 to prevent one tab crashing from causing the rest of the browser to hang. 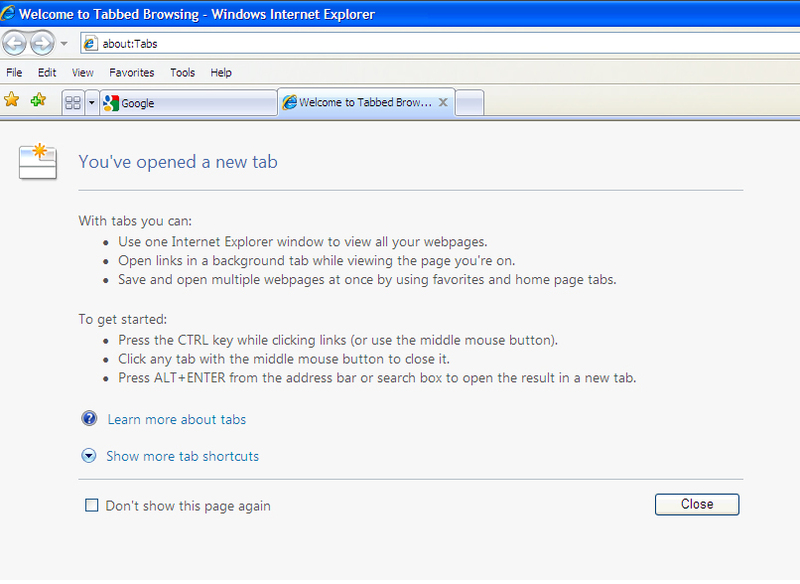 I also particularly dislike the “You’ve opened a new tab” window, although I guess that’s down to personal taste..
Also implemented in Opera are tab previews; when you hover your mouse over a tab, it shows a thumbnail of the page in that tab; this has been implemented since Opera 8, and is a quick and easy way to preview a tab whilst currently browsing in another tab; it’s also more useful when you have multiple tabs open for the same website, since the title for pages on most websites commonly starts with the name of the site itself, and the rest gets cut off due to the width of the tab, which makes it harder to differentiate between different tabs and their actual content. 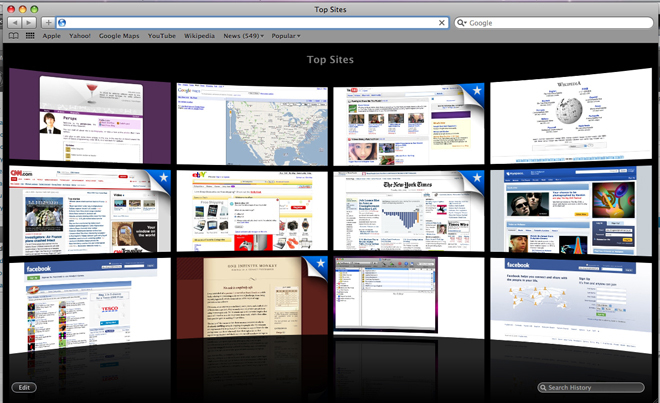 Another useful feature of the Opera browser is mouse gestures. These are actions you can perform with the mouse, to perform common actions – for example, right clicking and dragging the mouse to the left is the same as pressing the back button. Mouse gestures were introduced in Opera 5.1 (released in 2001) and has been a great, innovative feature in browsing. Speed Dial is a feature that was introduced in Opera 9.2. 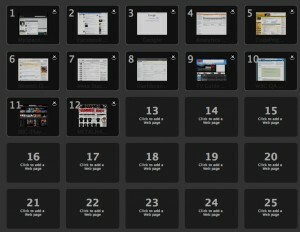 It allows a grid to be shown on newly opened tabs with spaces for web page thumbnails, containing screenshots of the pages; these can be accessed by clicking on the relevant item in the grid, or with Ctrl+1 to Ctrl+9 (Windows) or ⌘+1 to ⌘+9 (OS X) for pages 1-9 respectively. I particularly like these shortcuts, since I can quickly open my most commonly used pages when I start Opera with a few key presses. 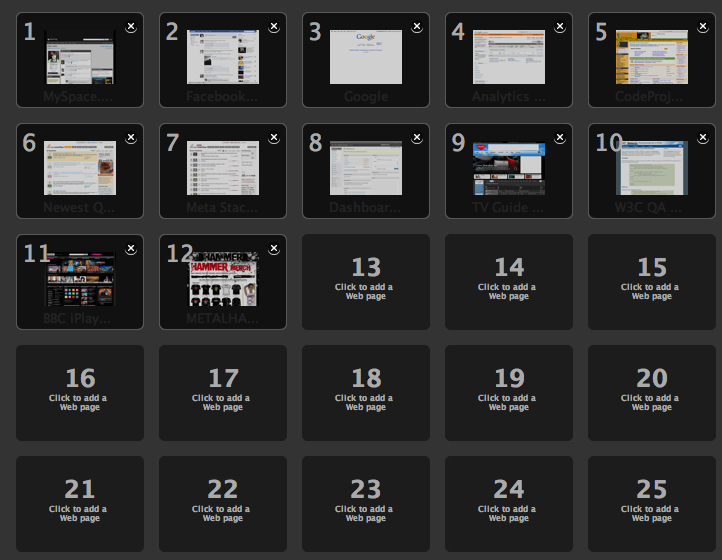 With the release of Opera 10, there is a new maximum of 25 tabs, available in different arrangements of 2 x 2, 3 x 3, 4 x 3, 4 x 4, 5 x 4 and 5 x 5, to make the best use of space for both widescreen and standard displays – the 4 x 3 layout is particularly useful when using my MacBook, since it has a widescreen screen, and the “square” layouts mean that the thumbnails are rather small (since they scale to the size of the window). 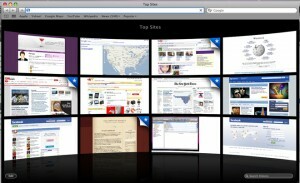 With the recent release of Safari 4, Apple have implemented a similar feature to Speed Dial in their browser, called Top Sites. Also released in Opera 10 is Opera Turbo. This is a “server-side optimization and compression technology” and compresses network traffic in order to decrease page loading times on slower networks, with the end result that the resolution of images in the page is much lower than normal. This not only decreases page loading times, but also reduces bandwidth consumption. A small icon is displayed in the left-hand side of the status bar, displaying the compression rate, and the amount of bandwidth that has been saved. 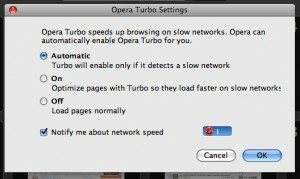 It can also be set to automatic so that it is only enabled if Opera detects a slow network connection. Although Opera is my favourite browser, it doesn’t cover every option; there is no concept of add-ons, unlike Firefox, for example, and being a web developer, the Firefox plugin Firebug is immensely useful in debugging web pages. 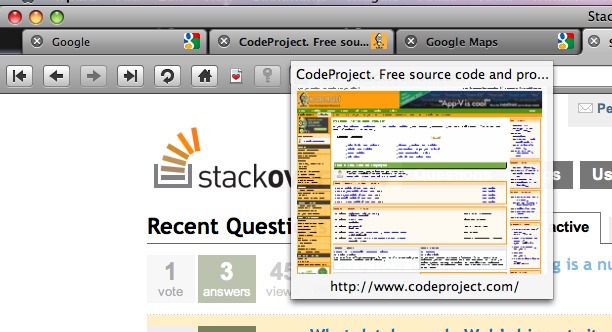 Although Opera offers their own Dragonfly web development tool, I feel that it isn’t quite as good as Firebug. But I have seen Opera Software to be revolutionary and innovative in implementing new features which are often later adopted by other web browsers, or have similar features implemented, and in this way I feel that Opera is a great influence to other browsers, and revolutionary in its own right.